INDIANAPOLIS, January 11, 2011 -- Global Water Technologies, Inc. (Pink Sheets: GWTR) has been issued U.S. Patent Number 7,867,470 for the on-site production of sulfuric acid by the United States Patent and Trademark Office. The patent covers a process for producing sulfuric acid directly at locations where it is needed and in quantities sufficient for immediate use, thereby reducing the cost and safety concerns of transporting and storing acid. Research and development of this process began while Global Water was seeking solutions for produced water treatment. The company is now seeking partners to commercialize the technology in that market and others where low-cost sulfuric acid is needed, especially in remote locations. "This is an important step forward in our development as a technology company," said CEO Erik Hromadka. "We are pleased to begin the new year with this successful creation of intellectual property and expect to continue adding new technologies to our portfolio. 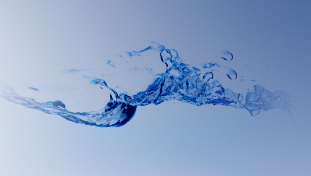 As a small public company, we seek innovations and new opportunities in water technology as a way to invest in the world's most precious resource." More information about Global Water Technologies and a recent update to shareholders is available at: www.gwtr.com.